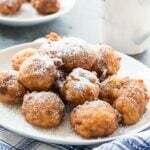 Sweet Calas are southern rice fritters that used to be popular street food in New Orleans. 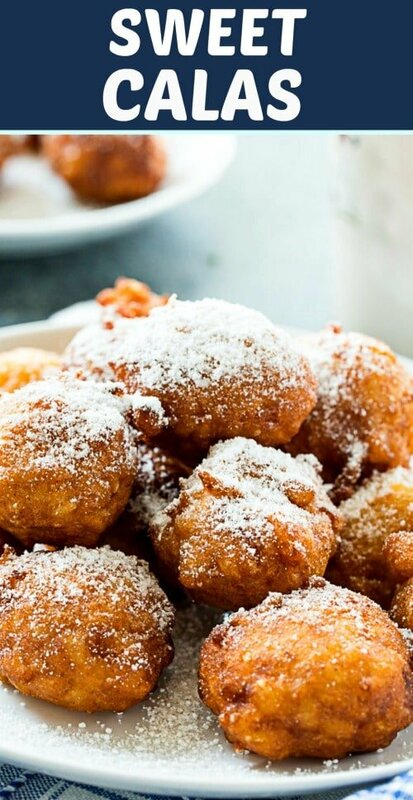 They’re fried until golden and sprinkled with powdered sugar, similar to beignets but quicker and easier to make. Calas are almost like fried rice pudding and they are so, so good! Sweet Calas are an economical sweet treat that breaths new life into leftover rice. You are likely to already have all the ingredients in your pantry. You’ll mix together a little sugar, baking powder, salt, cooked rice, 2 eggs, and some flour in a bowl. I add a little cinnamon, nutmeg, and vanilla extract for flavoring. Heat a few inches of oil in a Dutch oven and heat it to 360 degrees. Drop spoonfuls of the rice mixture into the oil and fry until golden brown. Dust with powdered sugar and serve. Use a thermometer to make sure the oil temperature is right. If the oil is too hot, they will burn on the outside before they are cooked on the inside. If the oil isn’t hot enough, they will soak up too much oil. A small ice cream scoop will make it easy and quick to drop the batter into the oil, but a spoon can be used instead. Once fried, dust these Sweet Calas with powdered sugar and you have a great treat for your Mardi Gras party or for enjoying with a cup of coffee. 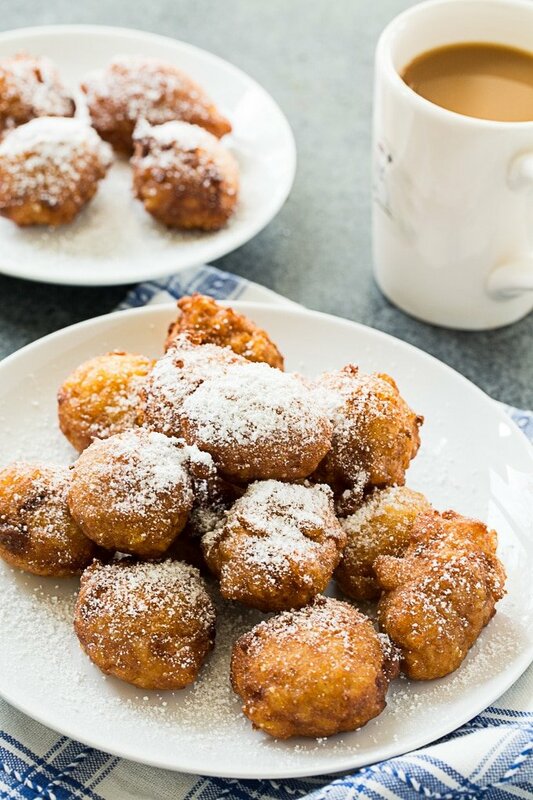 Sweet Calas are southern rice fritters that used to be popular street food in New Orleans. 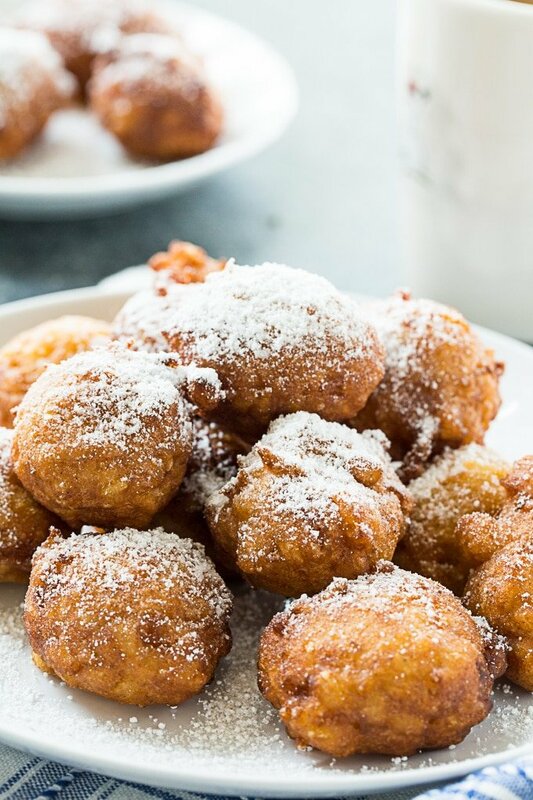 They're fried until golden and sprinkled with powdered sugar. In a small bowl, whisk together sugar, baking powder, salt, nutmeg, cinnamon, and flour. In a large bowl, stir together eggs, vanilla, and rice. Add sugar mixture and stir to combine. Pour 2 inches of oil into a Dutch oven. Heat to 360 degrees. Use a spoon or a small spring loaded ice cream scoop to drop rice mixture into hot oil. Only cook about 6 at a time so as to not crowd the pan. Cook for about 3 minutes, flipping over halfway through. Remove from oil and drain on paper towels. Sprinkle with powdered sugar and serve. This entry was posted in Desserts and tagged rice. Bookmark the permalink.